Awesome wallpaper <3. I found it on google and it's awesome! :D. HD Wallpaper and background images in the Higurashi no Naku Koro ni club tagged: higurashi awesome bloody. 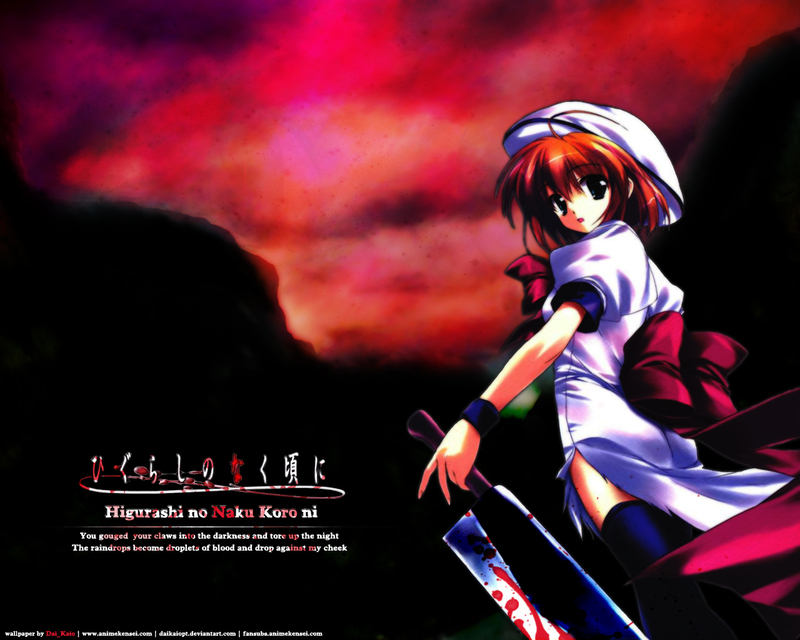 This Higurashi no Naku Koro ni wallpaper might contain show and concerto.